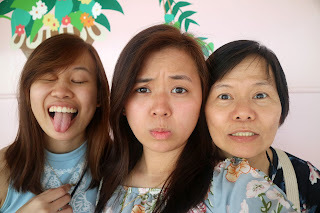 A little belated Mother's Day surprise for my momma! 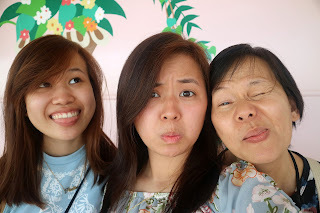 My mom is the best person I know and quite possibly my bestest friend. 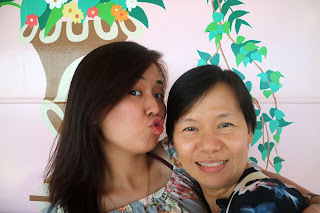 She taught me everything I know in life - from my ABC’s to the recipes I cook. 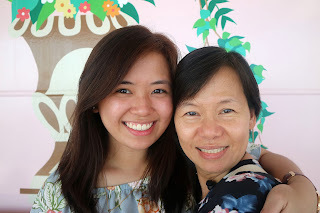 She's one of the major reasons why I am who I am. 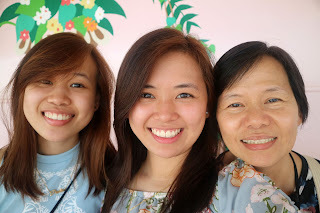 That's why I enjoy doing special things for her - I mean, it's the least I can do for all the love she has given and all the sacrifices she has done for our family. 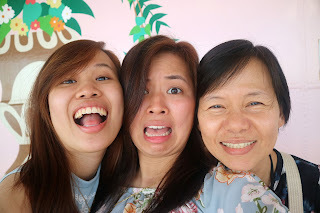 So even though Mother's Day is already over, I thought I'd surprise her by cooking her favorite - creamy pesto! She just loves how the herbs go with the cheese and milk. The creamier, the better! 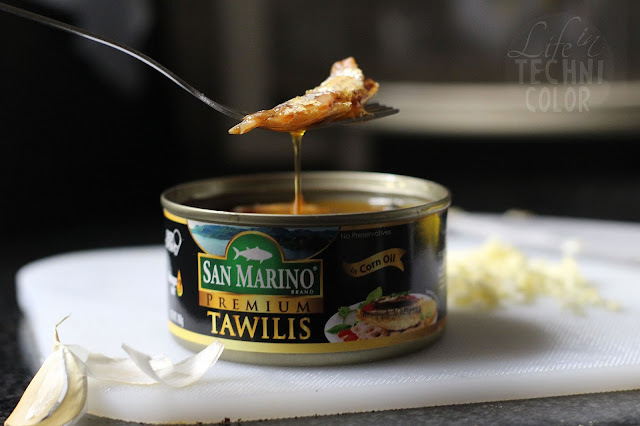 And since I want to make it extra special, I'm using my latest discovery, San Marino Premium Tawilis! Tawilis is a fish that can be exclusively found in the Philippines, particularly in Batangas. 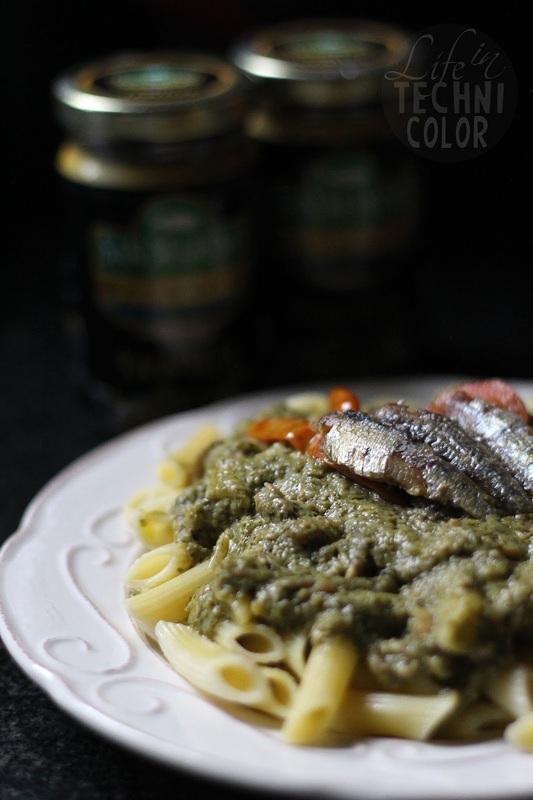 Its Spanish Style sauce blends well and actually adds flavor and spice to the creamy pesto sauce! And the cherry on top of this is it’s 100% easy to make, even for beginners! Trust me, I'm no professional, but I found this recipe super easy to do! 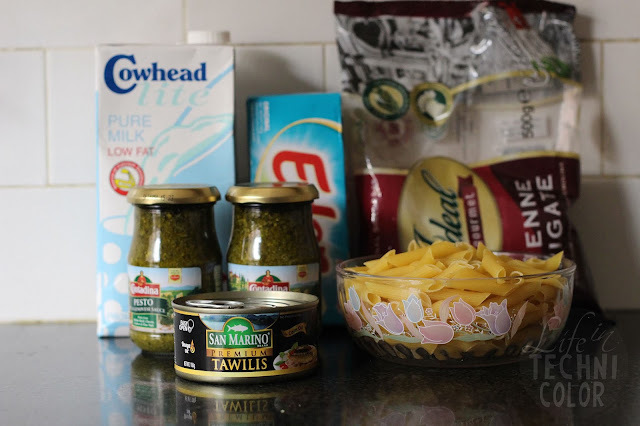 All you need is pasta (my mom prefers penne, so I'm using that), olive oil, garlic, milk, cheese, a pesto mix that’s available in supermarket, and San Marino Premium Tawilis. Just cook the pasta as indicated in the package. 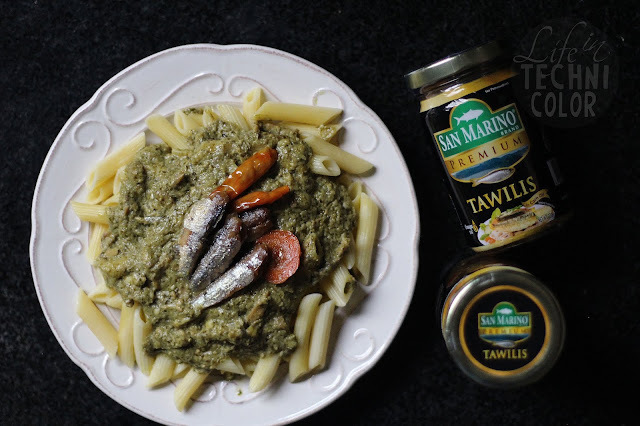 In a separate pan, heat olive oil and sauté garlic, then add San Marino Premium Tawilis. Add the pesto mix and let it heat for a few minutes. Finally, add milk and cheese to make the mix creamy. Season it with salt and pepper. 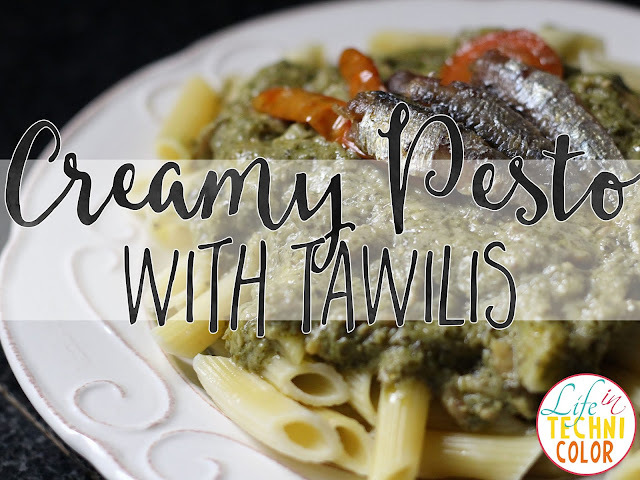 Put pasta into the mix and now you have a perfect creamy Tawilis pesto! For more flavor, you can add some parmesan. But really, you don’t need it because the sauce itself is flavorful enough! 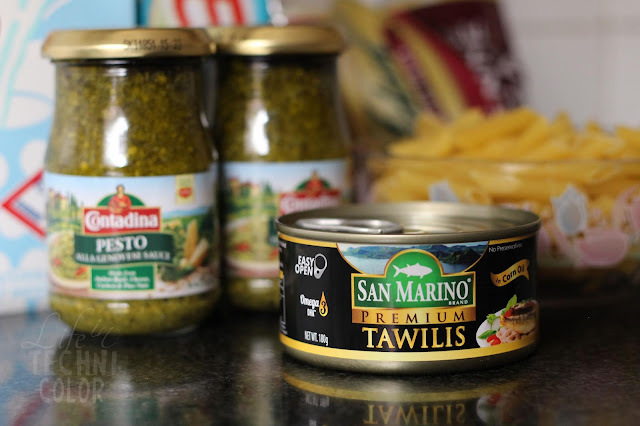 Pesto + Tawilis = Heaven! Mom totally loved this, and I'm glad she did because it's made with love! Naks!